With Easter just six weeks away I’m going to begin looking at the evidence for the central element of all of Christianity, the Resurrection of Jesus Christ. The Resurrection sets Christianity apart from other faiths. Christianity stands or falls on a historically verifiable event. If the resurrection didn’t really take place, there’s no point to Christianity, it isn’t true, we may as well close the doors of every church. The New Testament itself states this (1 Corinthians 15:13-18). Jesus made some outrageous claims about himself, claiming to be God and the only way to the Father. His critics asked for some evidence to back up his claims, they asked for a sign, and he said he would give them one, his resurrection. Notice he didn’t give some vague, subjective test, but an objective, verifiable test. You don’t just verify Christianity by some subjective, internal feeling you have that it’s true. Any faith can be equally “verified” by that. You can evaluate Christianity (and the subjective feelings you or someone else has about it) by looking at objective, external evidence. That’s what we’ll be doing between now and Easter, examining the historical evidence for the Resurrection of Jesus. 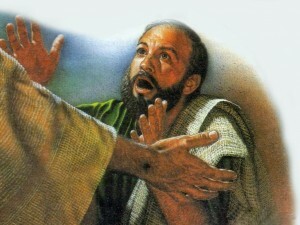 It is my hope that if you haven’t come to know Jesus personally yet, that you will have some new things to consider, and if you do know him, that your faith will be strengthened and you will have some new things to share with others as we prepare to celebrate the greatest news of all, the good news of Easter! How Do We Know if Something in History Actually Happened? Before getting into the evidence we should first look at the nature of evaluating historical events. How does one go about evaluating whether a reported historical event really happened? First, it should be made clear that what we are looking for, with any historical event that occurred long ago, is not absolute certainty. With events of long ago we don’t have the kind of evidence that can lead to 100% certainty. When it comes to history we can only speak of probability. As Gary Habermas asks, can we know with 100% certainty that George Washington was the first President of the U.S.? Perhaps documents were forged and stories were invented in a conspiracy to encourage the citizens of this new country. When looking at history, one investigates the data, considers the possibilities and seeks to determine which scenario best explains the evidence. Next I want to present five principles that guide historians in evaluating accounts of the past. Naturally if we have more than one source telling us about an event, that makes it more certain. Independent means different sources witnessed and reported the event separately. If a friend witnessed a crime and told you and you told someone else, there aren’t three independent sources, just one. On the other hand if your friend and his brother both witnessed the crime and both told you, there are two independent sources. If testimony is given by someone who is not sympathetic to the person or cause who benefits from the testimony, that’s an indication of authenticity. If someone’s mother says that he is an honest person that means something, but if his enemy says that he’s honest, you’re probably more likely to believe it. An indicator that a saying or event is authentic comes when the source would not be expected to create the story because it embarrasses him or his cause and weakens his position. People make up stuff that makes them looks good, they don’t make up and share stuff that makes them look bad. Eyewitness testimony is stronger than a secondhand account. Better that someone saw the event himself than just heard about it from someone else. The closer the time between the event and the testimony the better. There is less time for exaggeration or legend to creep in. These principles will guide us through our examination of the evidence. As we examine the evidence for the Resurrection we’ll be using Gary Habermas and Michael Licona’s Minimal Facts Approach. This means considering only those facts which are so strongly verified historically that they are accepted by nearly every scholar who studies the subject, even the rather skeptical ones. This is presenting the case with the “lowest common denominator” of agreed-upon facts. Taking this approach means that one doesn’t need to accept the Bible as the inspired Word of God. It is not that they don’t believe in the inspiration of the Bible, they do, as do I, it’s about keeping the main thing the main thing, focusing on the evidence for the event on which Christianity stands of falls, the Resurrection of Jesus. After all, we aren’t told in the Bible that someone has to believe in inspiration to have eternal life but we are told that one must believe that Jesus died for their sins and rose again. I hope that you’ll join me each week leading into Easter as we examine these facts which are so strongly supported by the evidence and which build a very strong case. Is life just a product of random, undirected chance? While some would say yes, the more we learn about even the simplest living things, the harder that is to believe. Let’s consider the evidence of the design of life. 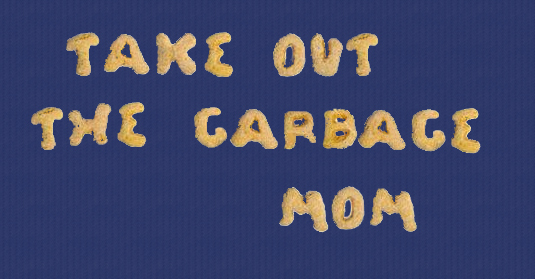 Now your first thought might be that your mom has left you a message, but then you remember a recent high school biology lesson. There you learned that life itself was merely a result of mindless, natural forces. If that’s the case, why couldn’t the message on the table also be the result of mindless natural forces? Maybe the cat knocked the box over. You didn’t want to take the garbage out anyway. But no matter how much you may want to deny it, you know that messages only come from intelligence. Random natural forces never create messages. If you’re walking down the beach and see a message written in the sand, you know it wasn’t just caused by the waves. Messages only come from intelligent beings. Yet attributing those messages to the cat or the waves is consistent with evolutionary theory attributing life to mindless natural forces. Naturalistic biologists say that life began spontaneously from nonliving chemicals by natural forces without any intelligent intervention. That might have seemed believable to a 19th century scientist who didn’t have the ability to see the amazing complexity of a single cell, but the more we learn that becomes harder and harder to believe. You see, the simplest form of life is far from simple. This became very clear in 1953 when DNA was discovered. DNA is the chemical that encodes the instructions for building and replicating all living things. It has a helical structure that looks like a twisted ladder. The sides of the ladder are formed by alternating deoxyribose and phosphate molecules, and the rungs of the ladder consist of a specific order of four nitrogen bases. The nitrogen bases are adenine, thymine, cytosine and guanine, which are commonly represented by the letters A, T, C, and G.
These letters make up what is known as the four-letter genetic alphabet. This alphabet is just like the English alphabet is it’s ability to communicate a message. It just has four letters instead of twenty-six. Just as the specific order of letters in this blog post communicate a specific message, so the specific order of A,T, C and G in DNA communicate the unique genetic make up of that living entity. So how complicated are the messages in DNA? Darwinist Richard Dawkins, professor of zoology at Oxford University, admits that the message found in just the cell nucleus of a tiny amoeba is is more than all thirty volumes of the Encyclopedia Britannica combined, and the entire amoeba has as much information in it’s DNA as 1,000 sets of the Encyclopedia Britannica! Here’s the question – If the simple message “Take the garbage out, Mom” requires an intelligent being as it’s source, doesn’t a message as long as 1,000 complete sets of encyclopedias require an intelligent being as it’s source? Could it have come about by mindless natural forces? Was life a random accident or an intricate design created by an intelligent creator? My mind tells me this message came from a mind far more intelligent than mine. The evidence shows that far from being just another unique planet, about twenty finely-tuned factors are just right for life on Earth. Last week in Part 1 I began looking at this evidence. This week I’ll be presenting more of those factors and I’ll attempt to help you to visualize the odds of all of these factors being just right on Earth. The Earth has a thin crust, ranging from 4 to 30 miles. If it were thicker, plate tectonics could not take place. The Earth has more than a dozen tectonic plates that are in constant motion. These moving plates regulate the interior temperature of the planet, recycle carbon, mix chemical elements essential to living organisms and shape the continents. Deep within the Earth’s interior the movement of liquid iron generates a protective magnetic field that is essential to complex life. The planet has to have enough heat in it’s interior for this to happen. Also, if the planet was smaller, the magnetic field produced would be weaker, allowing the solar wind to strip away our atmosphere. This would slowly transform Earth into a dead barren world like Mars. The four large Gas Giant planets, Jupiter, Saturn, Uranus, and Neptune protect the Earth. The great gravitational field of Jupiter, in particular, acts as a cosmic vacuum cleaner that attracts asteroids and comets that might otherwise strike the Earth. Think of them as vacuum cleaners or sweepers (as in the defensive position in soccer) that keep dangerous impacts away from us. Those are all the factors I’ll cover in detail here but there are at least eleven others that also have to be finely-tuned for life to be possible on Earth. But since large numbers like that are hard for us to grasp, I ran some numbers to come up with something that will help you to visualize that. 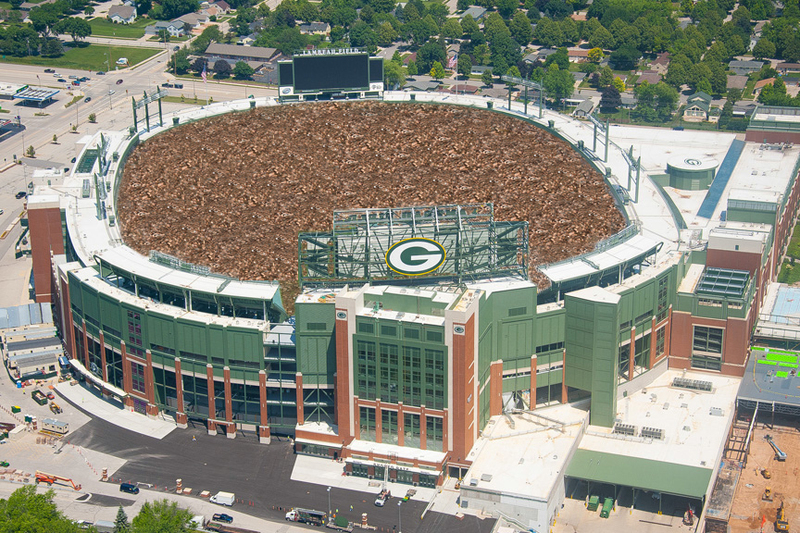 For those of you who have been to Lambeau Field, home of the Green Bay Packers, or some other large stadium, imagine filling that stadium with pennies, from the field all the way up to the top of the stands. Got the image? Now imagine diving into all those pennies and finding one specially marked penny out of all of them… on the first try. How likely do you think that is? But that’s not even right because that would only be about 1.3 trillion pennies. To have a quadrillion pennies you’d have to fill 717 such stadiums! I don’t know about you but I don’t think that penny is going to be found by random chance! And that doesn’t even address the odds of life itself coming about by chance. That’s just the odds of there being a place where life could be possible. I can’t believe we life our lives here on this amazing planet, in this amazing universe by chance. I don’t have that much faith. It’s much easier to believe that an awesome God of supreme intelligence and love created it all, and created us so that we can live and know him and enjoy all that he’s made. Being a fan of Star Wars, Star Trek, superhero comics and other such things since I was a young kid, it’s almost as if I know people from other planets. A lot of my favorite characters are from places like Tatooine, Vulcan and Krypton. We’re interested in finding out if there’s life on other planets, but is the Earth just another ordinary planet or is it uniquely designed for life? The more we learn about our marvelous planet, the more we see how it is far from just another ordinary planet. There are a growing number of factors about the Earth that we see that are finely-tuned for life. What do I mean by that? I hope most of you remember before the days of digital tuning when you tuned in a radio station by physically turning a dial. Some radio stations put out a really strong signal and you didn’t have to do much to tune them in. You could move the dial this way and that way and it wouldn’t matter much. There was a wide range for finding the signal. Weaker stations, though, were much more difficult to tune in. You had to be very precise with the dial. You’d find the station but then just move the slightest bit past it and you’d lose it entirely. You’d turn it back but you were already past it again. There was a very narrow range for finding the signal and you had to make tiny little adjustments. Well in order for life to be possible, the universe, our solar system and the Earth, in particular, have to be finely-tuned. It’s not like one of those strong radio stations where there’s a broad range that’s acceptable. There’s a very narrow range where life is possible and if conditions go past that narrow range, just slightly, life would not be possible. And in this case, it’s not just one dial that needs to be finely-tuned. There are a large number of dials that all have to be finely-tuned at the same time! Let’s look at some of those finely-tuned factors that allow for life on Earth. The Earth is in what’s known as the Sun’s Habitable Zone or Goldilocks Zone. That’s because it’s not too hot and it’s not too cold. It’s just right. If the earth was just 5% closer to the Sun, the temperature would reach 900 degrees. If it was 20% farther we would have carbon dioxide clouds and the ice and cold that has sterilized Mars. Where we are, in just the right spot, the Earth has the liquid water that is essential for life. The Sun is the right type of star we need for life. It itself is not too hot and not too cold. What’s more, it has the right mass. If it was less massive, like 90% of stars in the galaxy, the habitable zone would be smaller and planets in this zone would be closer to the star and so the greater gravity would lock the planets rotation into synchronization with it’s orbit. That means that the same side of the planet would always face the star, leading one side to be too hot and the other side to remain in darkness and be locked in cold and ice. The Earth’s axis tilt of 23.5 degrees keeps it from having temperature extremes as does the length of it’s rotation. If the Earth took longer than 24 hours to rotate, the temperature difference between night and day would be too much and if it was less than 24 hours, the atmospheric wind velocities would be too great. The moon is very large for a planet our size, it’s 1/4th the size of the Earth, and if it didn’t exist, neither would we. The powerful gravitational pull of this large moon stabilizes the tilt of the Earth, ensuring temperate seasonal changes. It also circulates the warm and cold waters of the oceans. The next largest moon in comparison to the size of it’s planet, in our solar system, is Triton which is just 5% the diameter of Neptune. More about our amazing moon in future posts. And those are just some of the factors. Next week we’ll look at more. There are about 20 of them. That’s one in a Quadrillion (or one in 1,000 Trillion)!! Those are some pretty steep odds. The earth is far from just another ordinary planet! It is uniquely designed for life. I don’t know about you but I don’t have enough faith to believe this finely-tuned planet came about by random chance. It’s much more believable that it was designed by an intelligent creator who precisely tuned all of the factors just as they needed to be in order for us to have life. Last week we started looking at the question, Is the Jesus we read about in the Bible the real Jesus or is that just a legendary figure that developed over time? Some have said that the Gospels weren’t even written until 200 years or more after Jesus lived. They say that the historical Jesus never claimed to be God and never did any miracles or rise from the dead. So it’s said that the church later embellished the claims and acts of Jesus hundreds of years later, after eyewitnesses were gone. Last week, however, we looked at the evidence, which is quite strong, that the New Testament documents were indeed written in the first century. But then how do we know that the Bible we have today still says what was originally written in the first century? We don’t still have the originals. Instead the originals have been copied over and over again to be spread around and handed down. So how do we know what we have today was copied reliably? This goes to the second point I presented in my post on the Case for Christianity. Let’s examine the manuscript evidence for the New Testament in comparison to other ancient documents. When considering if the copies of any ancient document have reliably preserved the wording of the original document, naturally the more copies you have to compare and the closer in date the copies are to the original the better. In this, the New Testament far surpasses all other ancient documents. Let’s look at some other ancient documents first. For Caesar’s Gallic Wars there are 10 copies that survive. There are only 7 copies of Plato. Of the writings of Tacitus (one of the chief sources of history of the Roman world), there are 20 copies. For Aristotle there are 49 copies. For Sophocles, 193 copies. And for Homer’s Illiad, a whole 1800 copies. That seems pretty impressive, right? So what about the New Testament? The number of copies, in the original Greek, stands at approximately 5,800! In addition to that there are about 18,000 copies of the New Testament translated into other languages. Again let’s look at the other ancient documents first. The average gap between the original and earliest copy is over 1,000 years. For Caesar the gap is 1,000 years, for Plato 1,200 years. Tacitus? 1,000 years. Aristotle? 1,400 years. Homer’s Illiad is again the best with a gap of 350-400 years (written around 900 BC, earliest copy 550-500 BC). So what about the New Testament? As we saw last week, we can conservatively say it was written between AD 50-100. What’s the earliest copy? 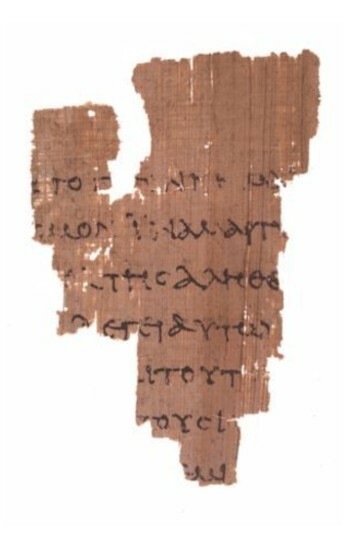 A small fragment of the Gospel of John dates to about AD 125. A gap of less than 100 years! The earliest copies that include larger portions of the New Testament date to around AD 200. Still just a gap of 100-150 years. Dr. Wallace estimates that 43% of all New Testament are include in copies before AD 250. The earliest full New Testament copy is from around AD 330, which is still better than any other ancient document. We can have a great deal of confidence in the text of the Bible we have today. I believe that God saw to it that we would have a very large number of manuscript copies so we could have this confidence. When you compare the text of all these copies you find great agreement and accuracy. What’s more, these copies come from all different regions of the ancient world and yet we still see a great consistency between them no matter where they are from. As I see it, if we can’t trust the reliability of the New Testament documents then we can’t really know anything about the ancient world. (Think you know some things about Julius Caesar? Think again. About the only thing you can really know about him is that he serves a good Hot and Ready Pizza for $5.) That’s because if we can’t trust the reliability of the New Testament, we certainly can’t do so with any other ancient documents, including the ones I mentioned. But in fact I think the evidence for the reliability of the New Testament documents is very strong and we can have confidence in what it tells us about Jesus. Next week we’ll look at how the message of the Jesus we see in the New Testament is backed up by the writings of the early Christians often known as the Church Fathers.